NUMS has announced fourth merit list for Shifa College of Medicine, Islamabad. Shifa College of Medicine was founded in 1998, and they have earned a very good name in very short period of time. Many student from across Pakistan wish to secure admission in this college. As expected their merit is high in fourth merit list as well. Highest aggregate for MBBS is 89.7969697 whereas lowest aggregate is 84.54343434. 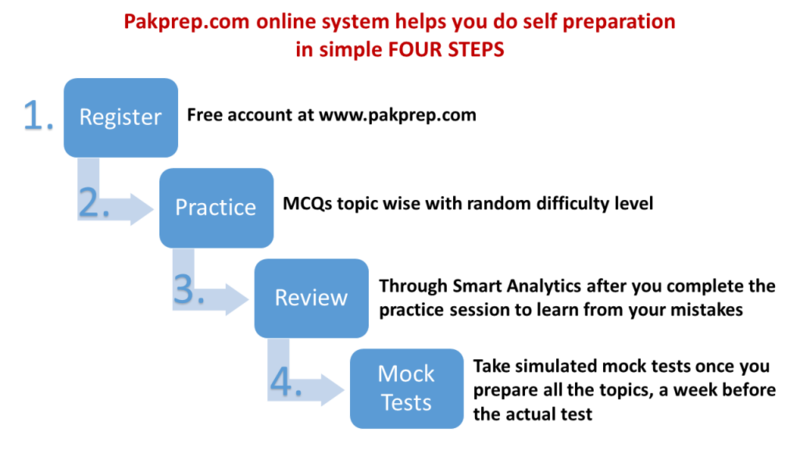 Every year thousands of students apply for admission from Pakistan as well as from other part of world but very little are able to secure their admission. 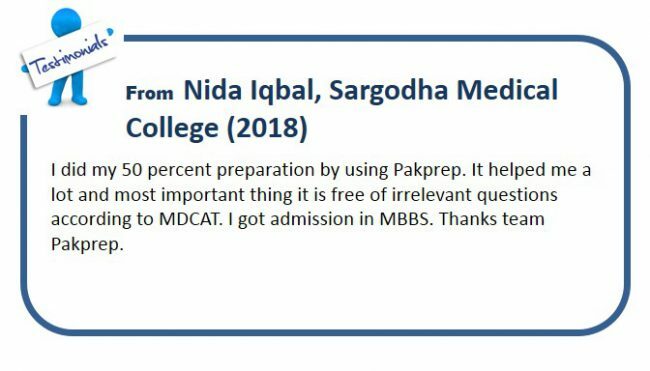 This entry was posted in NUMS and tagged 4th merit list SHIFA COLLEGE OF MEDICINE, Army Medical College, Army medical College 2018, Army medical College Admission, Army medical College Admission date, Army medical College Admission dates, Army medical College Admissions, Army medical College eligibility, Army medical College Eligibility criteria, Army medical College Entry Test, Army medical College Entry Test date, Army medical College Entry Test dates, Army medical College entry test online preparation, Army medical College entry test syllabus, Army medical College fourth Merit List, Army medical College fourth Merit List 2017, Army medical College fourth Merit List 2018, Army medical College fourth Merit List for MBBS, Army medical College fourth Merit List for MBBS 2017, Army medical College fourth Merit List for MBBS 2018, Army medical College fourth Merit List for MBBS admission, Army medical College fourth Merit List for MBBS admission 2017, Army medical College fourth Merit List for MBBS admission 2018, Army medical College fourth Merit List for MBBS admissions, Army medical College fourth Merit List for MBBS admissions 2017, Army medical College fourth Merit List for MBBS admissions 2018, Army medical College fourth Merit List of Open Merit Seats for MBBS, Army medical College fourth Merit List of Open Merit Seats for MBBS 2017, Army medical College fourth Merit List of Open Merit Seats for MBBS 2018, Army medical College fourth Merit List of Open Merit Seats for MBBS admission, Army medical College fourth Merit List of Open Merit Seats for MBBS admission 2017, Army medical College fourth Merit List of Open Merit Seats for MBBS admission 2018, Army medical College fourth Merit List of Open Merit Seats for MBBS admissions, Army medical College fourth Merit List of Open Merit Seats for MBBS admissions 2017, Army medical College fourth Merit List of Open Merit Seats for MBBS admissions 2018, Army medical College MBBS, Army medical College MBBS Admission, Army medical College MBBS admission date, Army medical College MBBS Registration, Army medical College MBBS Registration dates, Army medical College MDCAT test, Army medical College MDCAT test date, Army medical College MDCAT test dates, Army medical College MDCAT test past paper, Army medical College MDCAT test past papers, Army medical College MDCAT test pattern, Army Medical College Merit list, Army medical College Merit list 2017, Army medical College Merit list 2018, Army medical College MOCK test, Army medical College past paper, Army medical College past papers, Army medical College registration, Army medical College registration date, Army medical College sample Biology MCQs, Army medical College sample Biology MCQs with answer, Army medical College sample Biology MCQs with answers, Army medical College sample Biology MCQs with explanation, Army medical College sample Biology question, Army medical College sample Biology question with answer, Biology MCQs for Army medical College entry test, Biology MCQs for SHIFA COLLEGE OF MEDICINE, Chemistry MCQs for Army medical College entry test, Chemistry MCQs for SHIFA COLLEGE OF MEDICINE, How to apply for Army medical College, How to apply for SHIFA COLLEGE OF MEDICINE, How to Download Army medical College Roll Number Slip, How to Download SHIFA COLLEGE OF MEDICINE, ISLAMABAD, ISLAMABAD 2018, ISLAMABAD 4th Merit List, ISLAMABAD 4th Merit List 2017, ISLAMABAD 4th Merit List 2018, ISLAMABAD 4th Merit List for MBBS, ISLAMABAD 4th Merit List for MBBS 2017, ISLAMABAD 4th Merit List for MBBS 2018, ISLAMABAD 4th Merit List for MBBS admission, ISLAMABAD 4th Merit List for MBBS admission 2017, ISLAMABAD 4th Merit List for MBBS admission 2018, ISLAMABAD 4th Merit List for MBBS admissions, ISLAMABAD 4th Merit List for MBBS admissions 2017, ISLAMABAD 4th Merit List for MBBS admissions 2018, ISLAMABAD 4th Merit List of Open Merit Seats for MBBS, ISLAMABAD 4th Merit List of Open Merit Seats for MBBS 2017, ISLAMABAD 4th Merit List of Open Merit Seats for MBBS 2018, ISLAMABAD 4th Merit List of Open Merit Seats for MBBS admission, ISLAMABAD 4th Merit List of Open Merit Seats for MBBS admission 2017, ISLAMABAD 4th Merit List of Open Merit Seats for MBBS admission 2018, ISLAMABAD 4th Merit List of Open Merit Seats for MBBS admissions, ISLAMABAD 4th Merit List of Open Merit Seats for MBBS admissions 2017, ISLAMABAD 4th Merit List of Open Merit Seats for MBBS admissions 2018, Islamabad Admission, ISLAMABAD Admission date, ISLAMABAD Admission dates, Islamabad Admissions, ISLAMABAD eligibility, ISLAMABAD Eligibility criteria, ISLAMABAD entry test, ISLAMABAD Entry Test date, ISLAMABAD Entry Test dates, ISLAMABAD entry test online preparation, ISLAMABAD entry test syllabus, ISLAMABAD for foreign seats, ISLAMABAD fourth Merit List, ISLAMABAD fourth Merit List 2017, ISLAMABAD fourth Merit List 2018, ISLAMABAD fourth Merit List for MBBS, ISLAMABAD fourth Merit List for MBBS 2017, ISLAMABAD fourth Merit List for MBBS 2018, ISLAMABAD fourth Merit List for MBBS admission, ISLAMABAD fourth Merit List for MBBS admission 2017, ISLAMABAD fourth Merit List for MBBS admission 2018, ISLAMABAD fourth Merit List for MBBS admissions, ISLAMABAD fourth Merit List for MBBS admissions 2017, ISLAMABAD fourth Merit List for MBBS admissions 2018, ISLAMABAD fourth Merit List of Open Merit Seats for MBBS, ISLAMABAD fourth Merit List of Open Merit Seats for MBBS 2017, ISLAMABAD fourth Merit List of Open Merit Seats for MBBS 2018, ISLAMABAD fourth Merit List of Open Merit Seats for MBBS admission, ISLAMABAD fourth Merit List of Open Merit Seats for MBBS admission 2017, ISLAMABAD fourth Merit List of Open Merit Seats for MBBS admission 2018, ISLAMABAD fourth Merit List of Open Merit Seats for MBBS admissions, ISLAMABAD fourth Merit List of Open Merit Seats for MBBS admissions 2017, ISLAMABAD fourth Merit List of Open Merit Seats for MBBS admissions 2018, ISLAMABAD MBBS, ISLAMABAD MBBS admission, ISLAMABAD MBBS admission date, ISLAMABAD MBBS foreign merit list, ISLAMABAD MBBS Registration, ISLAMABAD MBBS Registration dates, ISLAMABAD MDCAT test, ISLAMABAD MDCAT test date, ISLAMABAD MDCAT test dates, ISLAMABAD MDCAT test past paper, ISLAMABAD MDCAT test past papers, ISLAMABAD MDCAT test pattern, ISLAMABAD Merit list, ISLAMABAD Merit list 2017, ISLAMABAD Merit list 2018, ISLAMABAD MOCK test, ISLAMABAD past paper, ISLAMABAD Past Papers, ISLAMABAD registration, ISLAMABAD registration date, ISLAMABAD Roll Number Slip, ISLAMABAD sample Biology MCQs, ISLAMABAD sample Biology MCQs with answer, ISLAMABAD sample Biology MCQs with answers, ISLAMABAD sample Biology MCQs with explanation, ISLAMABAD sample Biology question, ISLAMABAD sample Biology question with answer, ISLAMABAD sample Biology question with answers, ISLAMABAD sample Biology question with explanation, ISLAMABAD sample Biology questions, ISLAMABAD sample Biology questions with answer, ISLAMABAD sample Biology questions with answers, ISLAMABAD sample Biology questions with explanation, ISLAMABAD sample Chemistry MCQs, ISLAMABAD sample Chemistry MCQs with answer, ISLAMABAD sample Chemistry MCQs with answers, ISLAMABAD sample Chemistry MCQs with explanation, ISLAMABAD sample Chemistry question, ISLAMABAD sample Chemistry question with answer, ISLAMABAD sample Chemistry question with answers, ISLAMABAD sample Chemistry question with explanation, ISLAMABAD sample Chemistry questions, ISLAMABAD sample Chemistry questions with answer, ISLAMABAD sample Chemistry questions with answers, ISLAMABAD sample Chemistry questions with explanation, ISLAMABAD sample MCQs, ISLAMABAD sample Physics MCQs, ISLAMABAD sample Physics MCQs with answer, ISLAMABAD sample Physics MCQs with answers, ISLAMABAD sample Physics MCQs with explanation, ISLAMABAD sample Physics question, ISLAMABAD sample Physics question with answer, ISLAMABAD sample Physics question with answers, ISLAMABAD sample Physics question with explanation, ISLAMABAD sample Physics questions, ISLAMABAD sample Physics questions with answer, ISLAMABAD sample Physics questions with answers, ISLAMABAD sample Physics questions with explanation, ISLAMABAD Sample question, ISLAMABAD Syllabus, ISLAMABAD Syllabus 2018, ISLAMABAD Test 2018, ISLAMABAD Test date, ISLAMABAD Test dates, ISLAMABAD test pattern, MBBS for foreign merit list, MBBS foreign merit list, MBBS merit list for Army medical College, MBBS merit list for SHIFA COLLEGE OF MEDICINE, NUMS 4th merit list, NUMS 4th merit list 2017, NUMS 4th Merit List 2018, NUMS 4th Merit List for MBBS, NUMS 4th Merit List for MBBS 2017, NUMS 4th Merit List for MBBS 2018, NUMS 4th Merit List for MBBS admission, NUMS 4th Merit List for MBBS admission 2017, NUMS 4th Merit List for MBBS admission 2018, NUMS 4th Merit List for MBBS admissions, NUMS 4th Merit List for MBBS admissions 2017, NUMS 4th Merit List for MBBS admissions 2018, NUMS 4th Merit List of Open Merit Seats for MBBS, NUMS 4th Merit List of Open Merit Seats for MBBS 2017, NUMS 4th Merit List of Open Merit Seats for MBBS 2018, NUMS 4th Merit List of Open Merit Seats for MBBS admission, NUMS 4th Merit List of Open Merit Seats for MBBS admission 2017, NUMS 4th Merit List of Open Merit Seats for MBBS admission 2018, NUMS 4th Merit List of Open Merit Seats for MBBS admissions, NUMS 4th Merit List of Open Merit Seats for MBBS admissions 2017, NUMS 4th Merit List of Open Merit Seats for MBBS admissions 2018, nums merit list, NUMS Merit list 2017, NUMS Merit list 2018, NUMS sample questions, Shifa College of Medicine on January 30, 2019 by Pakprep.com Admin.